An avid, near-six-foot-tall surfer, John Jude Parish cuts a striking figure on the beaches of the Outer Banks in North Carolina. When he isn’t on water, John lives on wheels, a self-described skate rat—grinding and kickflipping with his friends, and encouraged by his progressive parents. His hero is the great explorer Richard Burton, his personal prophet is Bob Dylan, and his world is wide open—to new ideas, philosophies, and religions. Through online forums and chat rooms, John meets a young woman from Brooklyn who spurs his interest in Islam and Arab literature. Deferring Brown University for a year, he moves to the idyllic New York borough to study Arabic. Like Burton, John embraces the experience heart, body, and soul—submitting to Islam, practicing the salaat, fasting and meditating, dancing with dervishes, and encountering the extraordinary. Burton lived the life of a nineteenth-century adventurer, but he also penetrated the ancient wisdom of secret worlds. John will too—with unforeseen consequences. Critically acclaimed novelist Pearl Abraham uses her gifts of psychological acuity and uncommon empathy to depict a typical upper-middle-class family snared by the forces of history, politics, and faith. In American Taliban, she imagines this young surfer/skater on a distinctly American spiritual journey that begins with Transcendentalism and countercultural impulses, enters into world mysticism, and finds its destination in Islam. 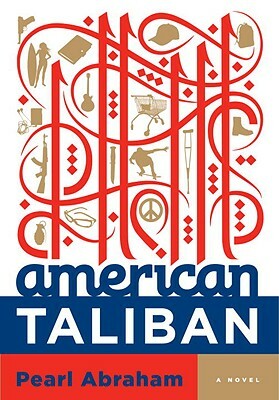 Provocative, unsettling, and written in a brilliantly inventive, refreshingly original voice, American Taliban is poised to become one of the most talked-about novels of the year. Pearl Abraham is the author of "The Seventh Beggar, Giving Up America, and The Romance Reader," and the editor of an anthology about Jewish heroines in literature, Een sterke vrouw, wie zal haar vinden?. Her stories and essays have appeared in newspapers, literary quarterlies and anthologies. Abraham teaches literature and creative writing at Western New England College and lives in both Springfield, MA, and New York City.